Russell's Alpaca Acres is a farm located in Burdett, New York owned by Jay and Jean Russell. 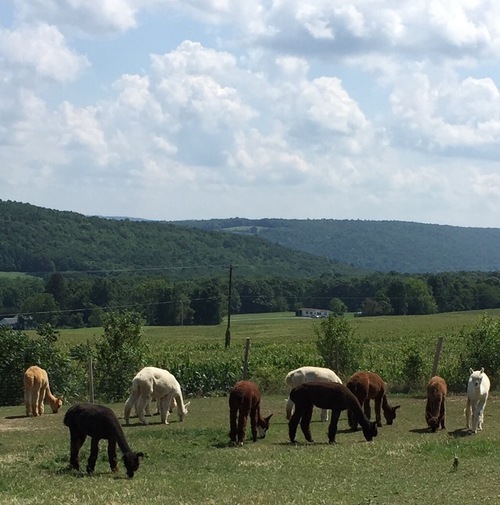 Started in 2012, our farm began, on 2 acres of land in the middle of the beautiful Finger Lakes, with 5 female alpaca. Throughout the first year, we continued to purchase quality animals. The first cria born to our farm was in the month of May in 2013. A male we named Guinnesson, or Jr. as we call him. We however, quickly out grew our 2 acres and in June of 2014 we moved to provide our "kids" more pasture and a much larger barn. 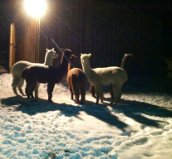 Since then, we added more pastures, a new barn and now have 34 alpacas with 8 cria due next summer. We are beginning the process of selling a few of our "kids" to ensure our new crop will have space to grow. 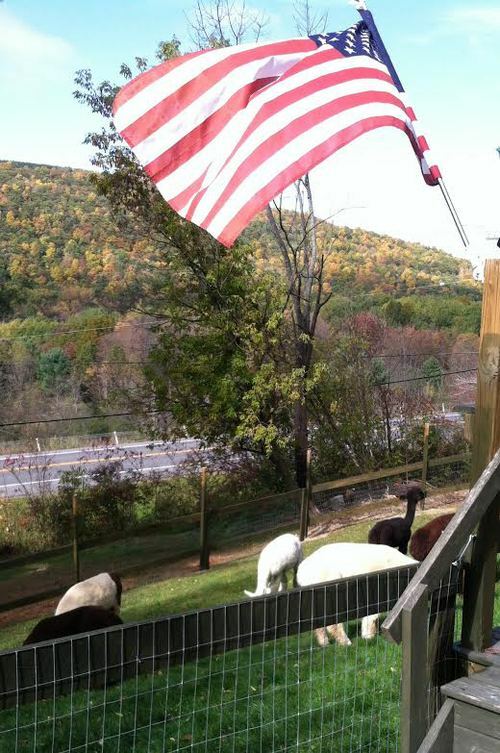 Come see for yourself why an "Alpaca Lifestyle" is so rewarding. Jay and I would love to work with you and put together a package deal to get your farm started. After having some great mentors ourselves, we are now ready to mentor others that would like the rewarding alpaca lifestyle. Come take a farm tour, learn about alpacas and enjoy learning all aspects of what alpacas can bring to your farm. Experience with livestock is not required. Alpacas are very easy, smart, self-sufficient and low maintenance livestock. Whether you are interested in pets and breeding stock, please contact us for some amazing alpacas at great prices. 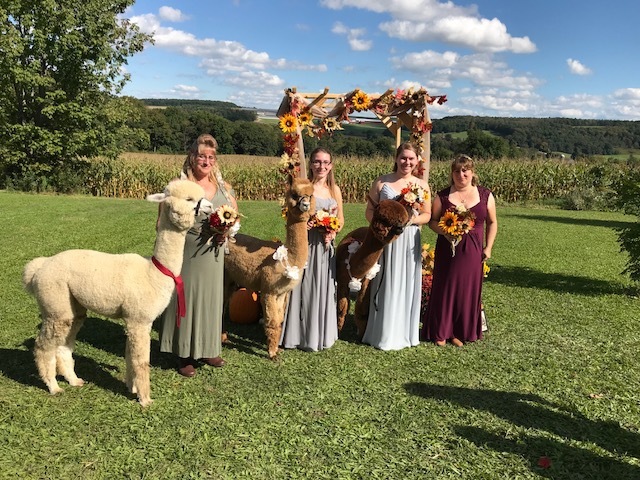 Or if you would like to have a couple alpacas at your country wedding, see the pictures of how our alpacas were part of a wedding last summer. See you all at the Spring 2019 shows, where Jay will be back in the ring as a steward .